Want a better renovation or new home? That’s what I often help Canadian homeowners achieve in my work coaching them through building projects, and something called “engineered lumber” is one thing I always mention. It’s gaining in popularity because its straighter, stronger and simpler to use than lumber sawn directly from trees. Engineered lumber is made from wood chips and strands of wood that are bonded into floor joists, beams, studs, trusses and other parts. 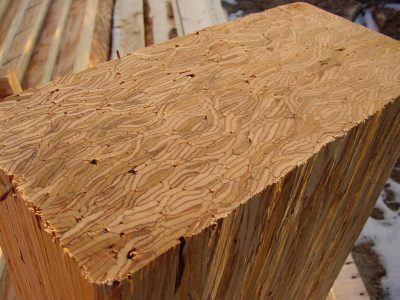 As the size and quality of saw logs declines, engineered lumber means straighter, more predictable lumber, but there are other advantages, too. Engineered building materials span farther, they support wider structures, and they take pipes and wires more easily than sawn lumber. That’s why I want to show you three applications where engineered lumber makes especially good sense. 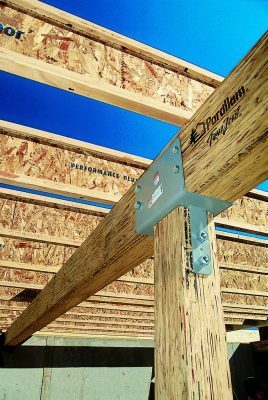 Wooden I-joists are one form of engineered lumber, and they deliver the greatest floor performance from the least amount of wood. 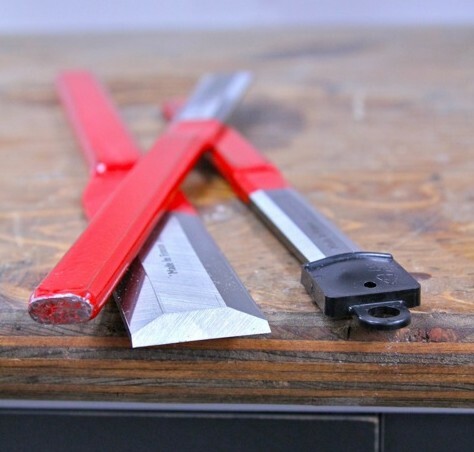 Where regular sawn lumber wastes lots of wood fiber because they’re a consistent thickness across their width, I-joists have almost no wood sitting between their top and bottom edges, the place where tension and compression forces are concentrated. Wooden I-joists are always arrow-straight right off the truck, and they make for more solid floors that are quieter under foot. 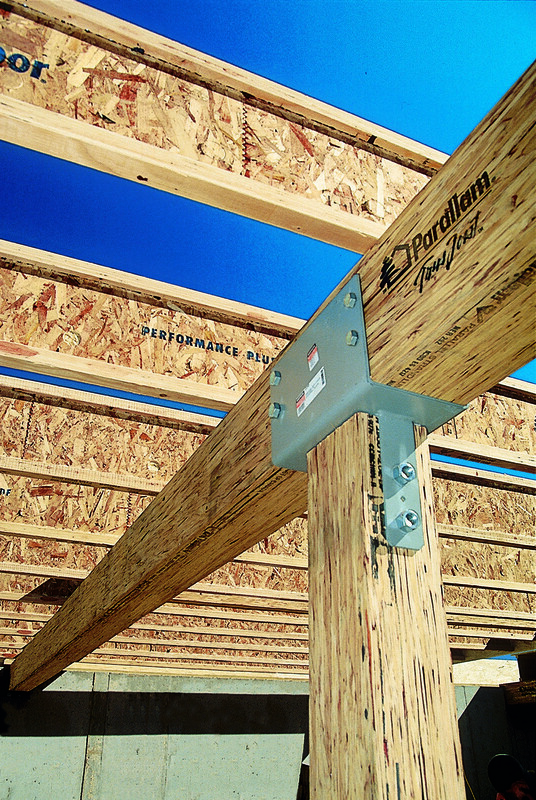 Engineered I-joists can easy span more than 20 feet without the need for support posts. Even if you had a pile of the largest west coast beams in the world, they’re still going to limit the designs you can build. The fact that even the best trees only grow so long and so thick is the main reason engineered beams are used more and more often. Looking something like thick, high-grade wafer board, engineered beam manufacturers turn fast, young, structurally useless trees into the longest-spanning wood-based structural materials the world has ever seen. As much as 75% of the biomass that leaves the forest bound for an engineered lumber plant makes it’s way into finished materials. These components are also low in moisture, exceptionally rigid, reliably straight and hold up much longer in a fire than structural steel. Though structural insulated panels (SIPs) are used most often for walls, they also make rigid and very warm floors that go down quickly. Used most often in projects without basements, a 10”-thick panel spans a whopping 16’ without support. Each panel is 48” wide, with recessed edges that are filled during construction with solid lumber that spans joints. Spray foam applied to edge grooves before panels go together make the assembly air tight. SIPs are rigid for the same reason that wooden I-joists are – the OSB sheeting on the top and bottom surfaces are held solidly to the foam inner core. They act like the flanges on I-joists, with the foam functioning like the OSB webbing. 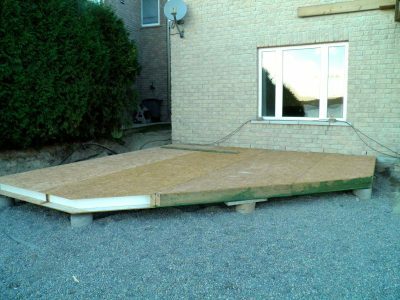 Since no sliding is possible between the OSB and foam, compression and tension stresses are concentrated on the top and bottom edges. That’s why these floors are so solid. SIPs floors are ideal for raised sunrooms, four season enclosed porches and any addition that will sit above a crawl space. Everyone likes progress, but no one likes change. This mentality is one reason innovations take off so slowly in the building world. The hitch is that you can’t get progress without change and that’s why you need to be an informed advocate when it comes to directing your renovation or new home. And this direction needs to go right back to how informed you are before the work happens.